One of the options for taking care of an opossum that has found its way into your yard or into your house is trapping it in a humane way. This is done easily enough with one of the many types of wildlife traps that are available in the market. You simply set up the trap in a place where the animal is known to frequent, add the right bait, and wait. Before too long, you should have a trapped opossum on your hands. But what do you do next? You should not leave the animal in the cage for too long because that could cause the animal to suffer. Before you set the trap you should have a relocation plan for the animal. This could involve you moving the animal yourself or calling in the wildlife removal specialist to handle the relocation for you. If you decide to do the relocation yourself, you will need to familiarize yourself with the local regulations concerning relocation of wild animals. In many areas there are specific rules about where animals can be released and how far away you are allowed to take them. In some places you need to get special permission to release them on designated land. If you do not follow these regulations and you get caught, you could find yourself in some legal trouble. Any time you trap an animal, you will want to minimize its stress as much as possible. You will want the relocation process to go as quickly as it can so that the animal can get back to its life in the wild. This is why it’s so important to have a plan ahead of time. When you do have the option of locating a proper place to release the opossum, you should make sure that there is adequate food and water available. You should also be aware of the predators that may be found in the area. When opossum are put into a new environment with too many natural predators, they could end up being killed before they have a chance to set up their new habitat. Of course, if you call the wildlife removal professionals, they will take care of everything for you. They will remove the animal in a safe and humane way and relocate it to an area that is best for the opossum. 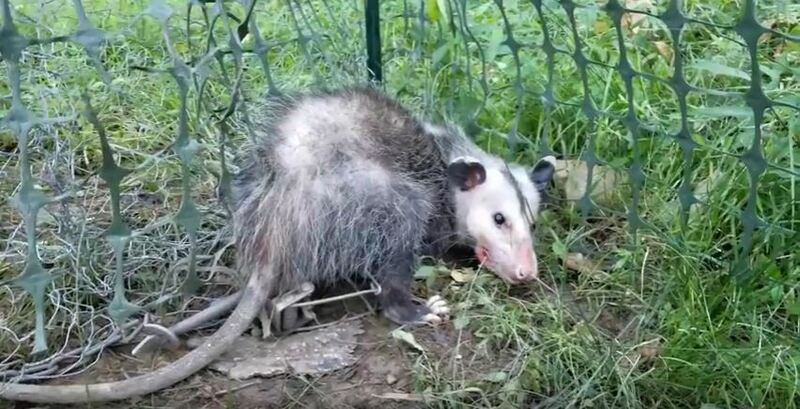 Go back to the How to Get Rid of Opossums page or email us if you have any other questions about What should I do with an opossum after I catch it?